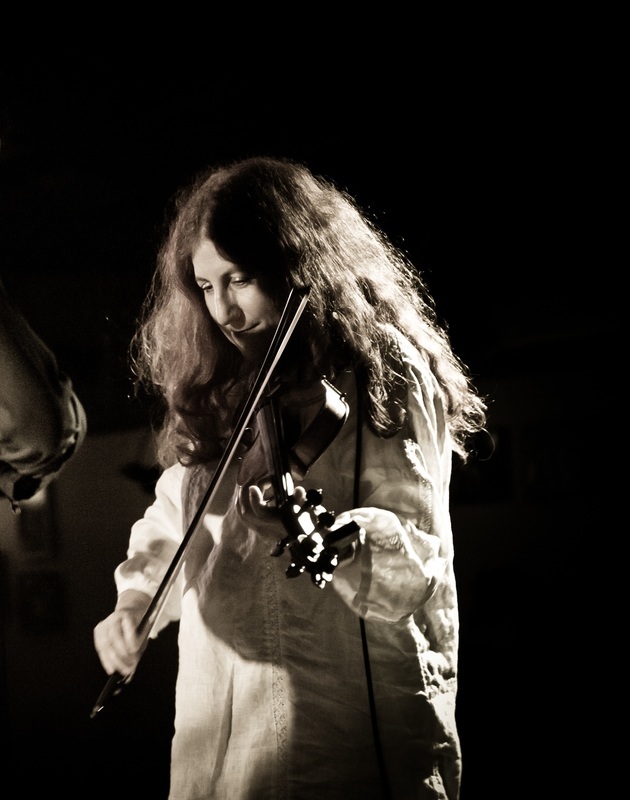 Suzy Thompson is one of the rare musicians today who has mastered the acoustic blues violin, following in the footsteps of Lonnie Chatmon, Clifford Hayes and Eddie Anthony. 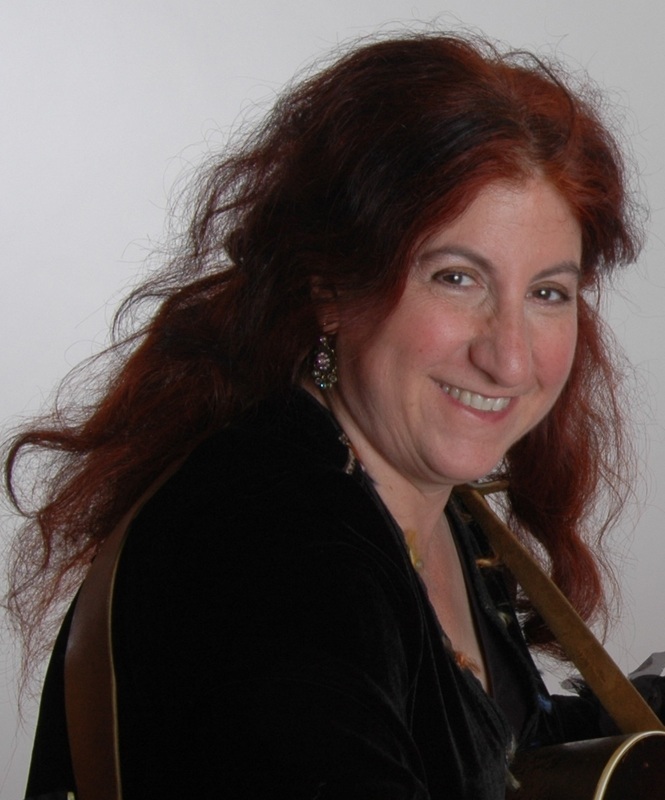 A powerful blues singer in the styles of Memphis Minnie and Bessie Smith, and a highly respected blues fingerpicking guitarist, Suzy is unique in her ability to combine fiddle, vocals and guitar in the blues and ragtime idioms. In 2003, after thirty years as a working musician, Suzy Thompson released her first solo CD, “No Mockingbird” which features blues songs (including the title track, which has been described as “Memphis Minnie on acid”) and oldtime fiddle rags. 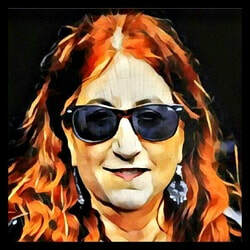 Suzy is backed on the album by an all-star cast including Maria Muldaur, Fritz Richmond, Geoff Muldaur, and Mike Seeger. Her followup CD, "Stop & Listen", released by Arhoolie Records in 2005, is a live concert recording with Del Rey, Eric Thompson, and the Thompson String Ticklers.Over the past three decades, Suzy has been a leading force in many influential roots music groups, including the California Cajun Orchestra (two award-winning CDs on the Arhoolie label), the Blue Flame String Band (with Kate Brislin and Alan Senauke), Klezmorim (who started the klezmer music revival in the 1970’s), the all-woman Any Old Time String Band (featured on the Grammy-winning Arhoolie box set), and most recently, the Bluegrass Intentions (with banjo ace Bill Evans.) She has also worked with Darol Anger, Laurie Lewis, Beausoleil, Peter Rowan, Maria Muldaur, Jody Stecher, Del Rey, Geoff Muldaur, Alice Gerrard, D.L. Menard, Jane Voss, Rinde Eckert, the Savoy-Doucet Cajun Band, Sukay, and Frankie Armstrong, among others. Suzy currently records and performs in a duet with her longtime musical partner, reknowned flatpicker Eric Thompson, with Thompsonia (Suzy, Eric and Allegra Thompson), with the Aux Cajunals (a Cajun band, in which Suzy plays Cajun accordion and fiddle), in a duet with resonator guitar goddess Del Rey, and with Eric in the Todalo Shakers. 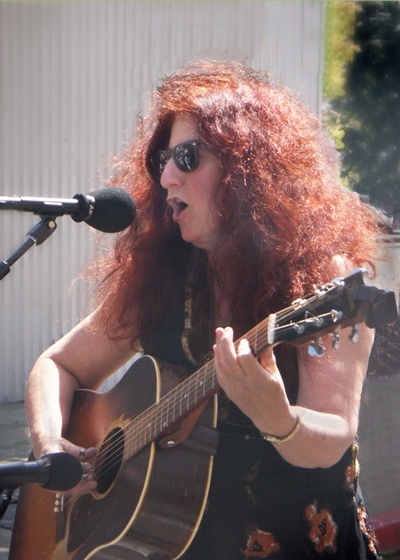 She often works with Geoff Muldaur and Jim Kweskin as a side musician and collaborates with other musicians including Mary Flower; Craig Ventresco and Meredith Axelrod; Foghorn Stringband; and Laurie Lewis. Suzy discovered the music of Bessie Smith, Sippie Wallace, Memphis Minnie, Victoria Spivey, and other classic blues moaners in the winter of 1975, when a friend of a friend of a friend stored his LP collection in her room. She began learning and performing some of this early blues material, accompanying herself on the guitar. The next year, she formed the Any Old Time String Band, an all-woman quintet with a repertoire that included classic blues, oldtime country music, and Cajun music. In 1976, Suzy's interest in Cajun music was sparked by seeing the Balfa Brothers perform. She traveled to southwest Louisiana, receiving an NEA Fellowship in 1980 to apprentice with Master Cajun Musician, Dewey Balfa; she also studied with Cajun fiddle legends Dennis McGee, Cheese Read and Wade Fruge. The 1980s saw Suzy touring and recording with the Blue Flame Stringband and the Backwoods Band, appearing on the Prairie Home Companion radio show, and touring throughout the U.S. and in Europe. In 1983, Suzy formed the California Cajun Orchestra, featuring Louisiana-born accordionist Danny Poullard. The CCO's debut album, on Arhoolie, was awarded the prestigious Prix Dehors De Nous by the Louisiana French Music Association; their follow-up CD won a NAIRD Indie for “Best Cajun-Zydeco Album of the Year.” Suzy has performed with many of Louisiana's finest Cajun musicians, including D.L. Menard, Beausoleil, Michael Doucet, Dewey Balfa, and Marc and Ann Savoy. She appears in Les Blank's film on Cajun and Zydeco music, J'ai Ete Au Bal. Suzy's vast repertoire of quirky old-time country tunes and songs was learned from rare field recordings and old 78s, and she is particularly adept at the ragtime and blues-influenced playing of hillbilly musicians of the 1920's and 30's, such as the East Texas Serenaders, Fiddlin' Arthur Smith, Doc Roberts, and others of that ilk. Suzy's passion for old-time music caused her to start the Berkeley Old Time Music Convention , which has become a five-day celebration attended by oldtime musicians who travel from all over the U.S. to join in the fun! 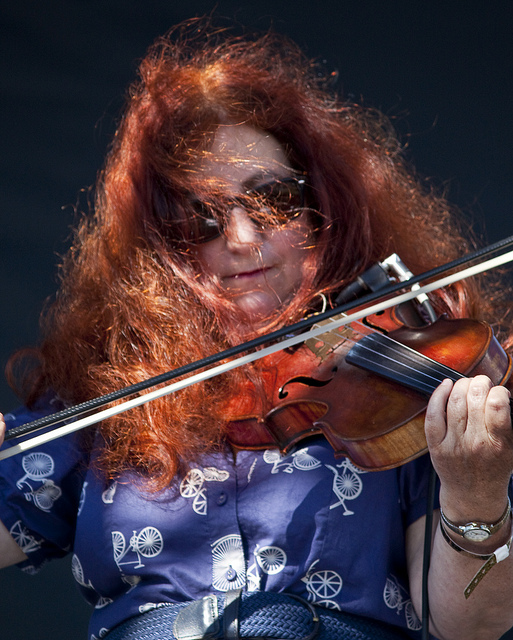 From 2011-2016, Suzy served as Artistic Director of the Festival of American Fiddle Tunes, a week-long workshop and festival in Port Townsend, WA, the biggest, oldest and most mind-blowingest fiddle festival of them all! In this capacity, she had the opportunity to work with tradition-bearers from all over North America and beyond. 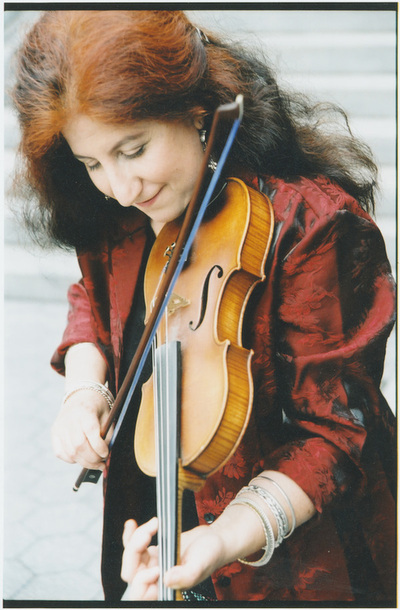 Three of her achievements as Fiddle Tunes AD were: 1) a renewed focus on older generation tradition bearers; 2) incorporating bluegrass into the fabric of the genres represented at Fiddle Tunes and 3) moving closer to gender parity by reaching out to women tradition-bearers. In 1994, Suzy represented the U.S. on a Masters of the Folk Violin Tour in Scotland and England. In addition to performing, she has been an instructor at many festivals and music camps, including Centrum’s Country Blues Week, Menucha's Blues in the Gorge, Grand Targhee Music Camp, Augusta Heritage Cajun-Creole and Old Time Weeks, Fiddlekids, Californa Bluegrass Association Music Camp, Port Townsend Festival of American Fiddle Tunes, Walker Creek Music Camp, California Coast Music Camp, Puget Sound Guitar Workshop, and Lark In the Morning. Session work on albums by Jim Kweskin & Geoff Muldaur, Maria Muldaur, Dave Alvin, Darol Anger, Kate Brislin & Jody Stecher, Alice Gerrard, Laurie Lewis, Alan Senauke, Del Rey, and many others.